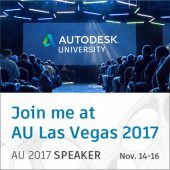 It was a pretty great year for me, I gave 9 presentations, published an eBook on becoming a BIM advocate, presented at AU2015 on the Design Workflow, got invited to “Inside the Factory Live” (Gunslinger) by Autodesk, and this is how it all went down. I kicked my year off traveling to the Bay Area, thanks to Ideate Inc., to present “Becoming a BIM Advocate” to the Sacramento Revit User Group, San Francisco Revit User Group, and Oakland Revit User Group. It was very well received with a large turnout at all 3. The presentation in San Francisco gave me the opportunity to meet Stephanie Egger from Autodesk. I was able to meet a lot of local people and was given a tip about the BIM Workshop conference in Anaheim. 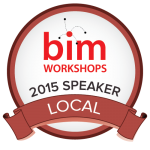 After returning home I signed up to speak at the BIM Workshop, thanks to the tip, and was accepted. Then I received a call from Stephanie and she asked if I would be willing to provide the same presentation for the on-line BIM series for Autodesk. This was a great opportunity to continue sharing my struggles and success in promoting BIM. Mid-summer I took a trip to Portland to present “Becoming a BIM Advocate” to the Portland Revit User Group, it was good to be in my home town sharing what I had discovered and suffered. 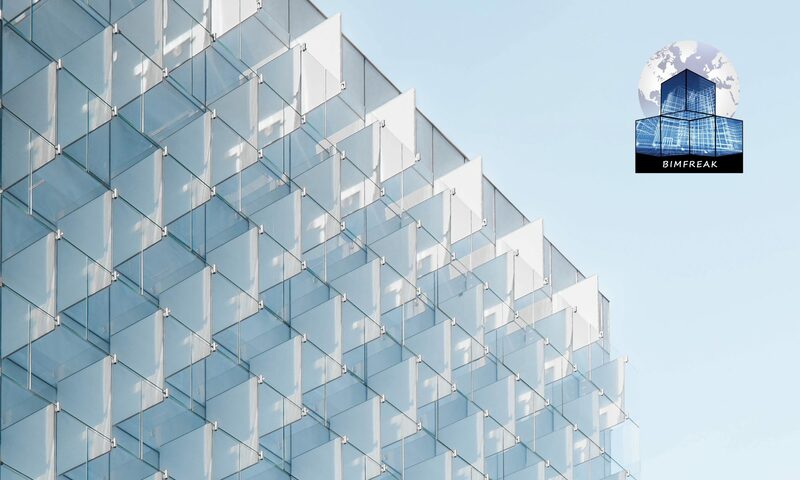 In August I presented again for Autodesk in the series “Keys to a Successful BIM Pilot Series: Get your Office to Adopt and Work with BIM”, and the final presentation for Becoming a BIM Advocate was in October at the BIM Workshop in Anaheim. In the Fall Summit AEC asked me to give an on-line presentation on “5 Goals of a BIM Manager”. 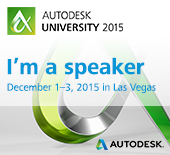 I also found out I was accepted to speak at AU, AS10473: Design Workflow from Concept to Construction Documents. Went to “Inside the Factory Live” at Autodesk headquarters in Boston, used to be called The Gunslinger Event. This is where you get to break Revit, and tell the developers in person why something doesn’t work for you, and what would work better. If you want to get invited here’s a hint: get on the beta test for Revit, make sure to test and send in a lot of error reports. Hopefully you will get the invite to apply, they only pick 16 so make sure you test a lot. It’s a great time and pretty amazing view/interaction with Autodesk. So now it’s time to move on to 2016, this year I hope to keep the presentation streak going and meet more people. I’m also setting my sights on creating a new BIMx, preparing a presentation for our clients on what BIM can do for them, and taking my firm to greater heights in the BIM community.